“They were all amazed, and they kept on asking one another. What is this? A new teaching—with authority! 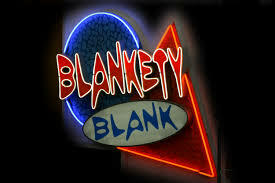 Jesus commands even the unclean spirits, and they obey him.” At once his fame began to spread.” What the blankety blank? If Jesus is the answer to every question, what’s the point? Let’s just balance our transactions and get out of here. “Jesus loves me this I know for the Bible tells me so.” As a called and ordained minister of the church of Christ and by Christ’s authority I declare onto you that Jesus is the answer. I have the collar, I’m wearing the stole. I have the title. I have the call. I am a Master of Divinity! Jesus is the answer to every question. Go home and enjoy the super bowl. I have the authority to declare that all our transactions have been balanced, even if we have to force balance a few of those transactions, 12 noon is approaching, and we want to be out of here shortly, so we can enjoy the afternoon. We’re told that back in the olden days the priests did have the authority. We’re told that there was a time when religious authorities welded all sorts of power. That day is done. And while there are still those who insist that Jesus is the answer to every question, our questions are piling up at a rate no mere proofer can begin to balance. Gone are the days, if they ever really existed at all, when religious authorities could dismiss every question with the authority of their office. Gone are the days, if they ever really existed when a chorus of Jesus loves me will calm our troubled souls, let alone our disturbed psyches. Whatever daemons or unclean spirits are rattling around inside of us I’m pretty sure that it’s going to take a whole lot more than invoking the name of JEEEZZZUUSSS to drive them out. There are still those people on this tiny planet of ours who are convinced that all we need is the kind of authority that wilds power in ways that can terrify the unclean spirits out of us. The reality is that life in this complex cosmos of ours is enough to scare the bejesus out of those of us who are brave enough to ask the big questions. Who are we? Where did we come from? Who made us? Where are we going? Why are we here? What’s the point of life itself? What does it mean to be human? What does it mean to be divine? What will happen when we die? JEEEZUS! JEEZZZUS is the answer. Shout it loud. Shout it as loud as you like, but I dare say the authority of Jesus doesn’t have the power it once had. Especially if you believe that authority is about power. Carter Heward, a theologian who writes about Christian ethics uses the Latin origins of the word together with the definition of the word to describe authority as that which calls into being something that is already and for that reason can be trusted. A person who has authority calls into being something that is already and for that reason they can be trusted. A person who has authority calls forth or evokes something we already know or have or are. Jesus’ authority did not, nor does it reside in his ability to prove his point and thereby exert his power over people. Jesus authority came because he added to what people already knew. Jesus’ authority is derived from the Good New that Jesus taught, the Good News that the One they called God is LOVE. LOVE. LOVE is the final authority. GOD is LOVE. LOVE GOD. LOVE your neighbour and love yourself. Abundant life is about love. Who is my neighbour? Jesus answers with stories about LOVE and it turns out that everyone is our neighbour; even our enemies. LOVE. LOVE your enemies. LOVE because at the very heart of all that is, is the Source of all that is, which is LOVE. It is not easy. It is not simple. LOVE is as complex and as multifaceted as the cosmos. This vast, wonderful, intricate, awesome cosmos in which we live and move and have our being, finds its source in the ONE who is LOVE. Everything that IS, Everything that Was, Everything that Ever shall be was called into being by the ONE who lies at the very heart of Reality and that one is LOVE. Authority, ONE who adds to what we already know, Authority will flow from what IS. As we struggle to balance our everyday transactions, whatever authority we look to for assistance, must flow out of what we already know to be true. As our knowledge of the cosmos grows and expands so to do our questions, our desires, our hunger for more knowledge. As we continue to author new realms of possibility, authority will continue to lie in that which or those whom one has reason to trust will continue to enable us to grow or augment what already is. LOVE is infinitely capable of enabling growth so that we might augment that which already is LOVE. Whatever authority we hope to offer the world must derive its power from LOVE. We need authority precisely for the purpose of helping us to discover, recover, empower and encourage ourselves and one another. Sounds like LOVE to me. Sisters and brothers as a called and ordained minister of the Church of Christ and by Christ’s authority, I declare to you that as members of the Body of Christ we all share in Christ’s authority. We have been given authority precisely for the purpose of helping us to discover, to recover, to empower and to encourage ourselves and one another. LOVE is our authority, LOVE embodied in, with, through, and beyond us. It is nowhere near as simple as singing a chorus of “Jesus loves me.” Embodied LOVE is as complex as the cosmos and infinitely more awesome than we can even begin to understand. But, the power of LOVE permeates the cosmos. May the One who IS LOVE, grant us the wisdom to use LOVE’s authority with love for God, one another, for ourselves and indeed for all of creation. In all things, let LOVE be our authority to call forth life. This entry was posted in Bible Study, Evolutionary Christianity, Home, Progressive Theology, SERMONS and tagged authority of Christ, Carter Heyward, emergent theology, evolutionary christianity, Mark 1:25-28, progressive Christian sermon Epiphany 4B, progressive Christian sermon Mark 1:21-28, progressive christian spirituality, progressive christianity, spirituality by Rev. Dawn Hutchings. Bookmark the permalink.